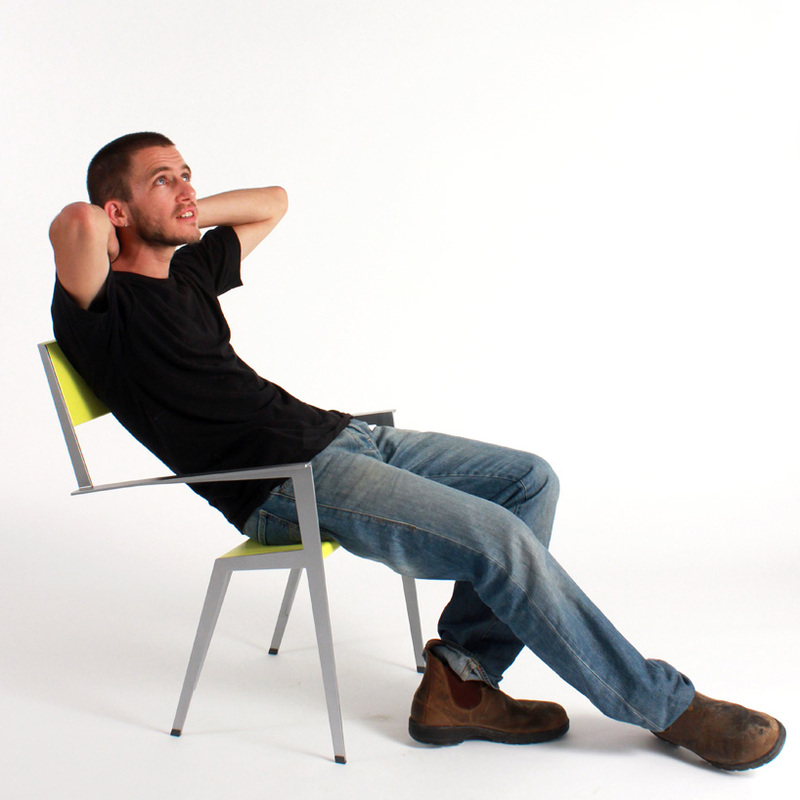 after analyzing everyday furnishings, bezalel academy of art and design student muli bazak observed, ‘in a world filled with so many designed chairs, I was surprised to discover a sitting posture which did not gained enough attention from designers. 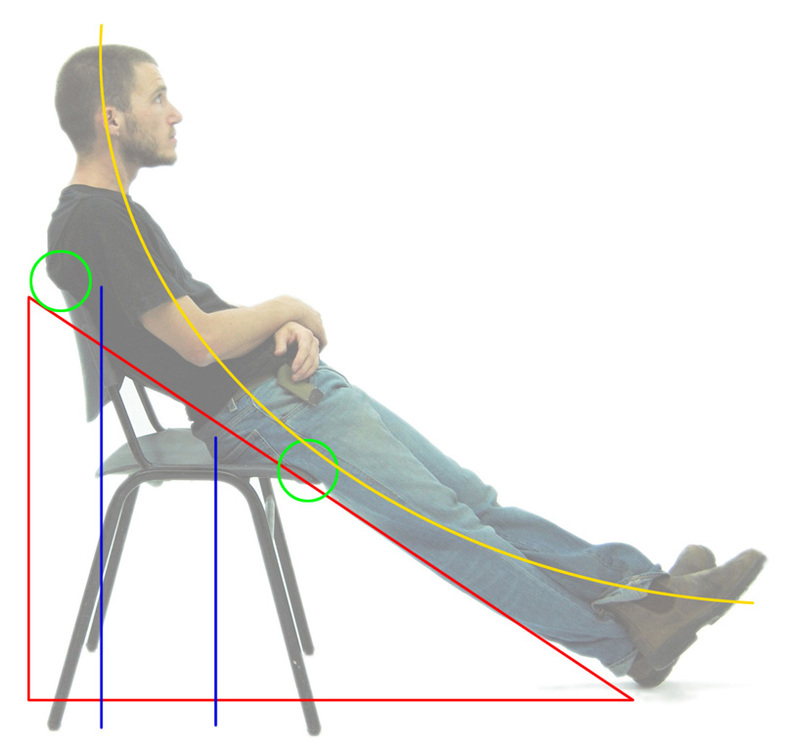 the most common sitting posture on the edge of the chair with legs spread ahead is often perceived as ‘incorrect’ in a manner that contradicts the way the chair is designed.’ most chairs dictate a certain sitting posture with minor adjustable features. 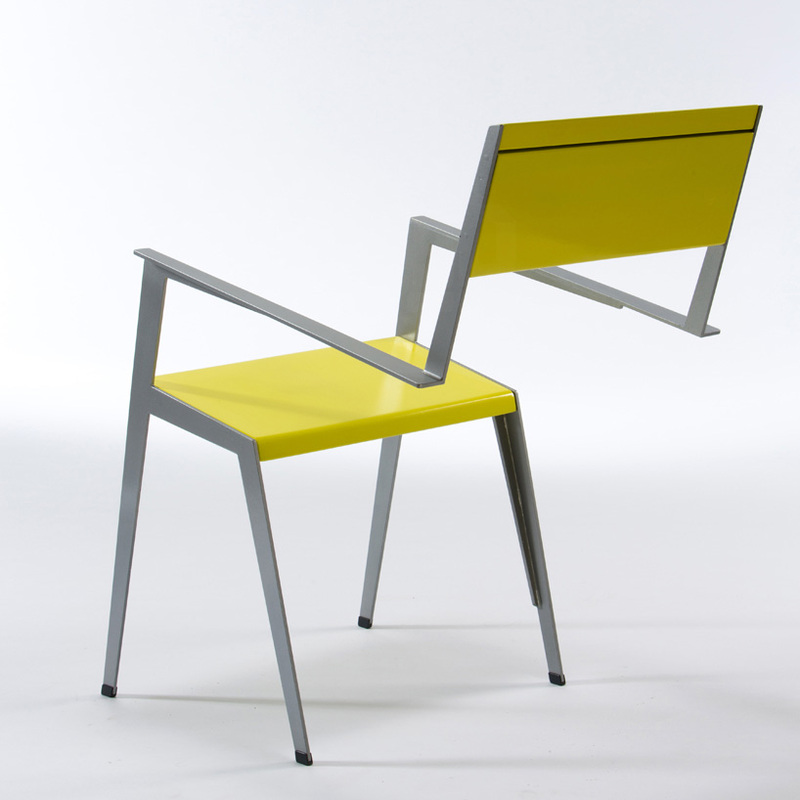 but bazak believes that a majority of the time, people actually sit on it differently than what its form suggests. the ‘chaisecourte’ has been developed out of the will to fill this ‘vacant design territory’ and to create a deconstructive furnishing that would make what was until today considered wrong into something right. 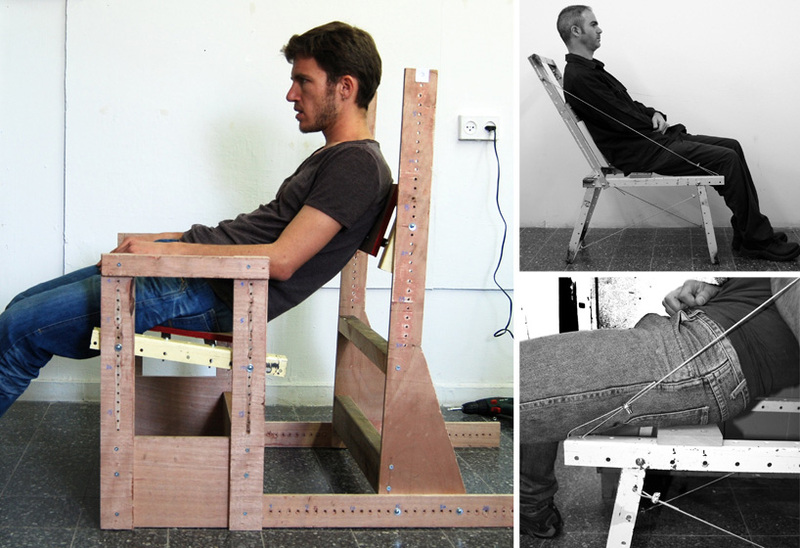 at the beginning of the project, bazak looked into the intricate details of what he refers to as the ‘gliding posture’. 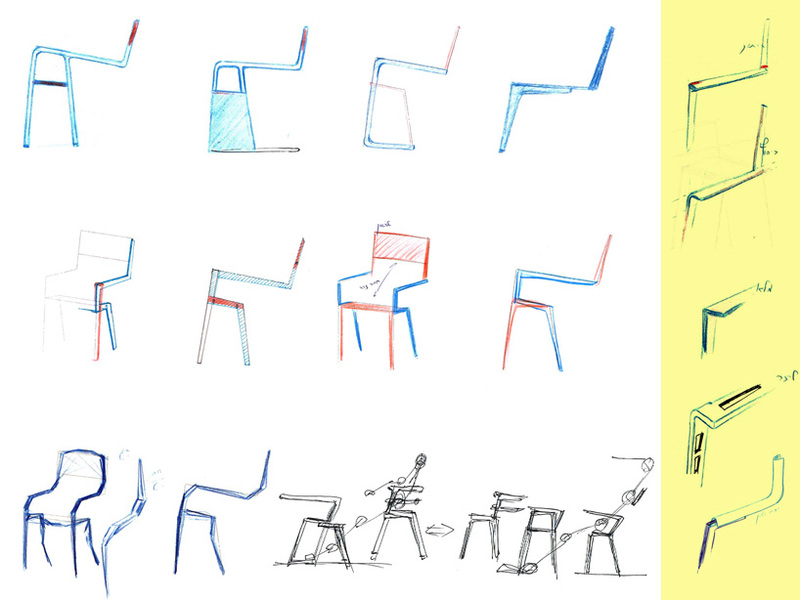 each characteristic of the chair takes into account the triangular shape formed between the body and the floor, the touching points of limbs and chair, the serenity versus the tension, and the excess space which is not utilized by the user. all this, while staying clear of massing a visual noise overload on the one hand, but without providing a banal product on the other. the process included many anthropometric measurements in order to maximize seating comfort and fit a wide range of people. 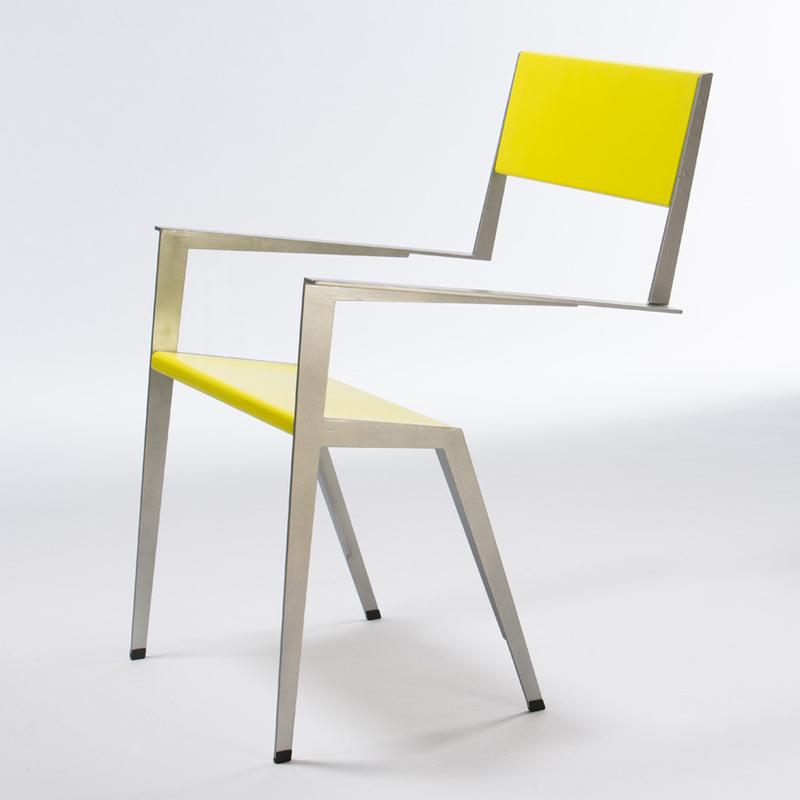 the result is a slim metallic frame, constructed out of 5mm laser cut aluminum using argon welding, that requires minimum effort for sitting and emphasizes its minimal structure, which provides morphological tension. this thinness creates an interesting transit between its front and side projection. 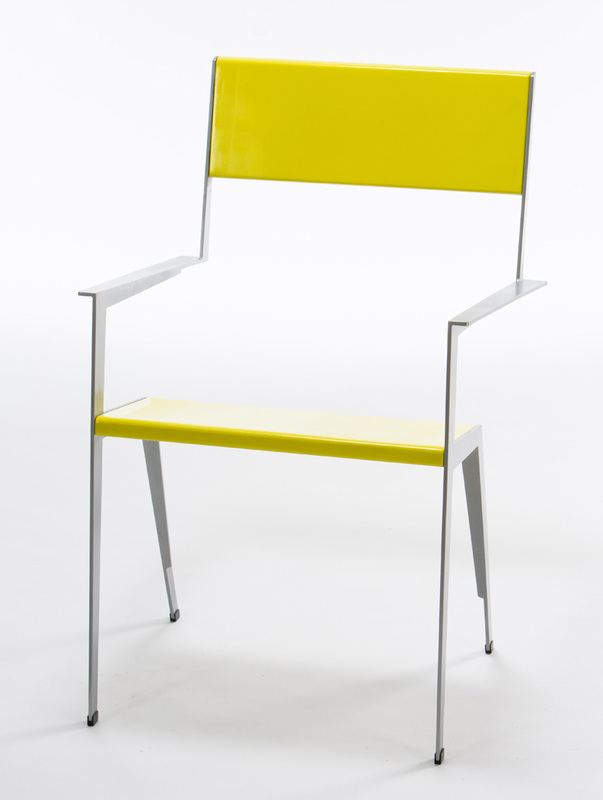 the seat and back rest are made of wood processed in CNC technology with epoxy coating, each one made of two layers covering the metal components between them. Super interesting. While it seems confy on the “Gliding position” I’m sure you’d want to move to another and then feel unconfortable. Either way I love the creativity process, it’s a very mature project! 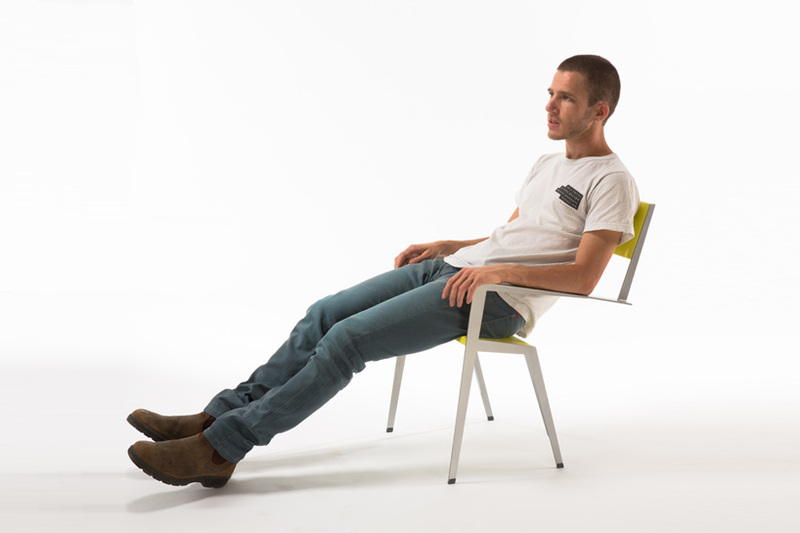 The traditional seat adapts perfectly well to the natural way we sit. 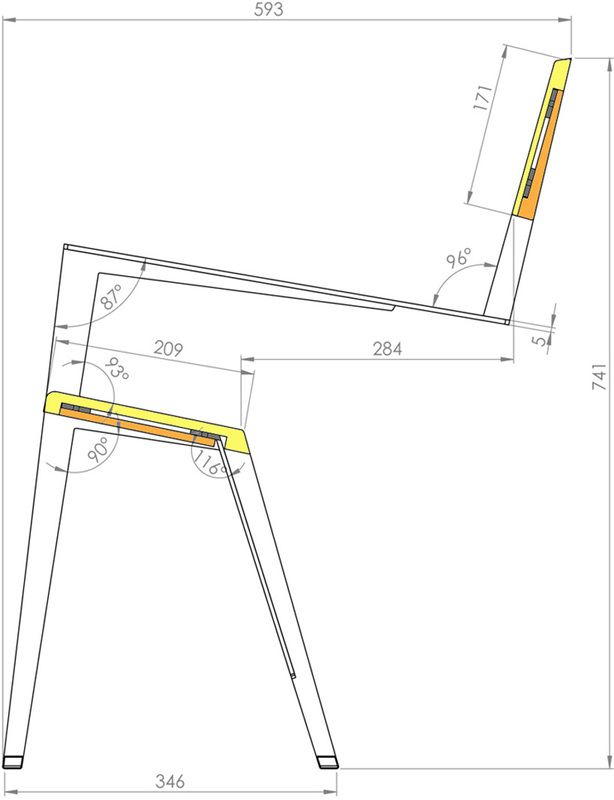 And it has an extra space to support our bottom in case we decided to sit up and right along with it a back rest in line perpendicular or in slight back angle. This seat has and had worked for ages and still comfortable whether you recline or sit up. I am under the impression that sitting in a chair is not a ‘natural’ nor healthy habit. I am also understand that slouching, as we call it, is the least healthy seating position. 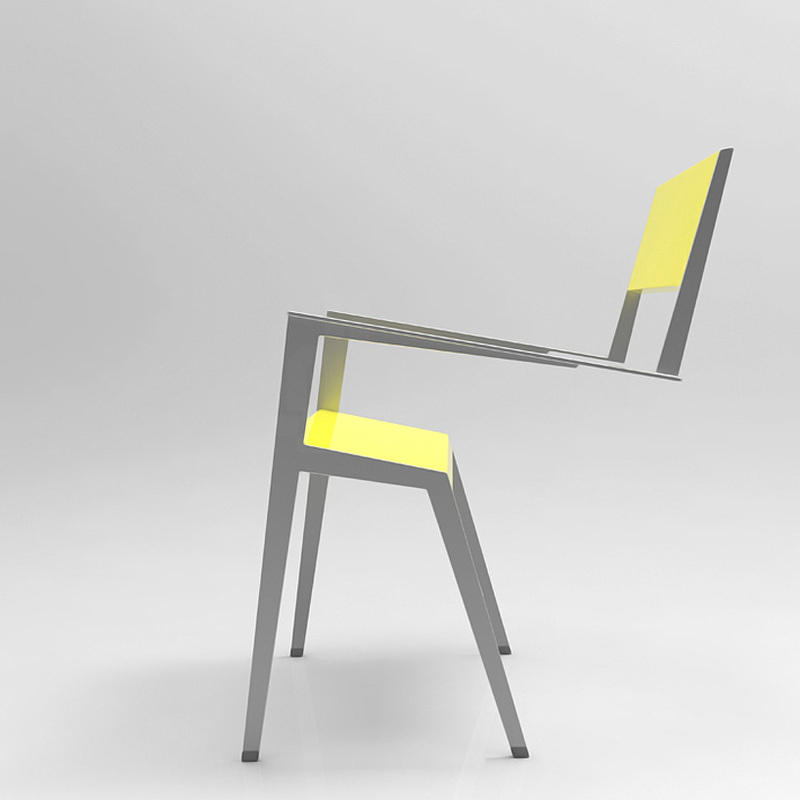 This design, although the creative inspiration and interpretation is understood, is endorsing chronic back difficulties. A bit like an IV of liquid sugar for a diabetic. 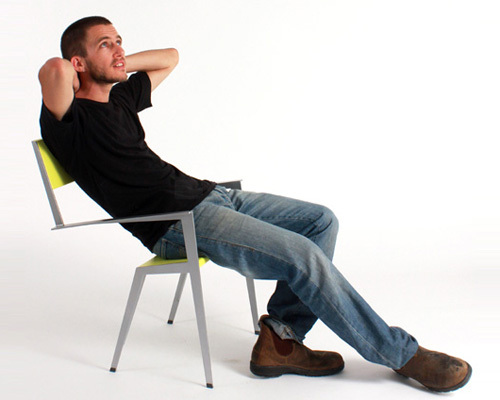 I do often find myself sitting like that, but this chair looks worrying, like the center of gravity is too close to the rear legs.